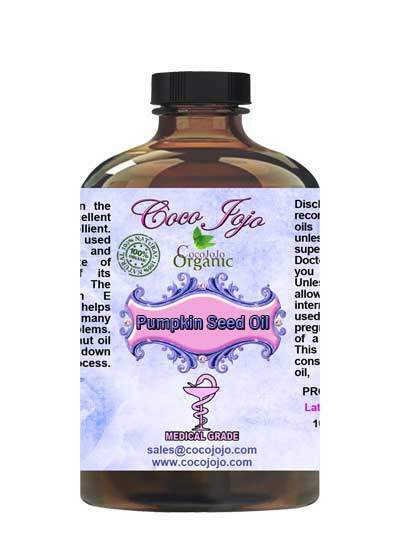 Pumpkin Seed Oil 100% Pure: Unrefined Pharmaceutical Grade A product is Unrefined, which means it is in the purest form that it can possibly be in. 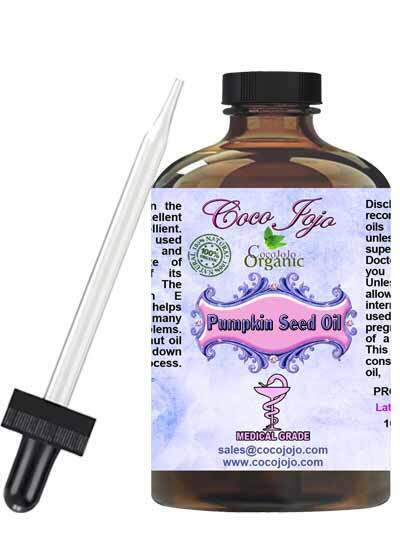 Pumpkin Seed Oil 100% Pure: Unrefined Pharmaceutical Grade A is rich in vitamin E, zinc, omega 3- and 6- fatty acids as well as antioxidants, therefore it has tremendous benefits for the skin in terms of retaining moisture, This product is also partially filtered in order to reduce the odor. The high amounts of zinc and vitamin E also improve skin tone. Pumpkin seed oil is often praised as a “superhero ingredient” in skin care, too, due to the essential fatty acids, vitamins and minerals contained within it. Pumpkin Seed Oil 100% Pure: Unrefined Pharmaceutical Grade A is the highest quality oils. The concentration of their Element is at the highest level that it can be. With the Pharmaceutical Grade Products you are getting the best. The Element of each product will be at its strongest potency making it much more beneficial and making its uses much more effective. All of our Pharmaceutical Grade Pure Oils have met Pharmacopeia standards. U.S. Pharmacopeia Reference Standards are highly-characterized physical specimens used in testing by pharmaceutical and related industries to help ensure the identity, strength, quality, and purity of medicines (drugs, biologics, and excipients), dietary supplements, and food ingredients.